A growing flock of Canada Geese (Branta canadensis) that are feeding in a field near where we live. A White-crowned Sparrow (Zonotrichia leucophrys) lost in a sea of green. Luckily it has it’s Buttercup for company! This very brightly coloured White-crowned Sparrow seems to stop to enjoy the flowers. 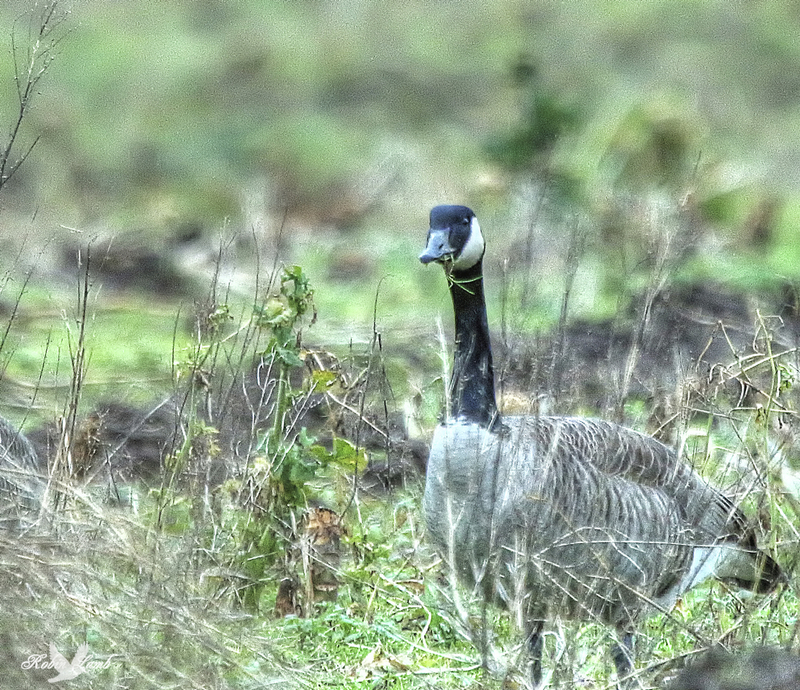 A Canada Goose feeding in the field across from our house. Might even be some Broccoli or Cauliflower left overs!